Representatives from the 156 countries that signed the Kyoto Protocol are meeting in Montreal, Canada this week to talk about solving the global warming problem. The Kyoto Protocol calls for a 7 % reduction in greenhouse gases below the 1990 level by 2012. The U.S. refused to participate in the protocol during the Clinton and Bush administrations. The U.S. Senate voted 98 - 0 against participating in the protocol in 1998. China, like the U.S., is not a signatory to the protocol for fear it will hurt the economy. We like the Bush technology plan. The Bush Administration initiated the Asia-Pacific Partnership for Clean Development and Climate, which aims to use the latest technologies to limit emissions and to make sure the technologies are available in the areas and industries that need them most. The pact includes India, China, Australia and South Korea, which account for approximately 40 percent of the world's greenhouse gas emissions. President Bush is addressing global warming through a program called Methane to Markets. The U. S. joined 13 other countries in a 2004 agreements that formally created a partnership to advance international cooperation in recovering and using methane as a profitable source of clean energy. Signatories include representatives from Argentina, Australia, Brazil, China, Colombia, India, Italy, Japan, Mexico, Nigeria, Russia, Ukraine and the United Kingdom in the signing ceremony that launched the global Methane-to-Markets Partnership. The program is a voluntary public-private partnerships to reduce methane emissions -- programs created in the early 1990s to meet U.S. commitments under the United Nations Framework Convention on Climate Change. According to the EPA, the partnership has the potential to deliver by 2015 annual reductions in methane emissions of up to 50 million metric tons of carbon equivalent or recovery of 500 billion cubic feet of natural gas. This is roughly equal to removing 33 million cars from roadways for a year or eliminating emissions from 50 500-megawatt coal-fired power plants. The best technologies to reduce greenhouse gases would utilize nuclear power plants and electric vehicles (fuel cell plug-in hybrid electrics). The Energy Policy Act of 2005 provided incentives for nuclear power and is effective climate change mitigation legislation. Unionized Welfare/Exec Greed Killed GM? Although Americans are buying fewer GM vehicles, the hourly wages, bloated executive compensation packages, health and retirement benefits are running the company right out of business. A global economy will not allow a capitalist company to pay for its workers retirement and health care. Is this news that communism and socialism do not work in a capitalist system? Did the executives at GM go to business school? Regardless, American companies from airlines to auto are ditching these entitlement programs. Would you rather have a company that provides a job and pays or no company at all? We choose the former. Our frustration is that instead of being the leader in moving aggressively towards the production of the next generation vehicle, fuel cell plug-in hybrid electrics, our auto industry is bankrupting itself by trying to be the Department of Health and Human Services. Faster, leaner, smarter companies will probably have to replace the old dinosaurs to provide dynamic company employment, environmentally sound technology and aesthetically pleasing products. Lead, follow or get out of the way. China and Japan might well be teaching us how to provide an efficient capitalist product. XYBORG from the U.K. writes: "I am sick and tired of reading news reports of the murderous thuggery of those in the Black crime fraternity who seem hell bent on bringing ALL Black people into disrepute with their gun-blazing savagery...it is well past time for all Black people to assume collective responsibility for rooting out an entire subculture of Black gun-toting goonery that has long been permitted to thrive and now pervades all too many of our communities. Black people have for far too long turned a blind eye to a level of criminality and vice that has now assumed the character and sweep of a mass culture in our midst." "...the Black community must now assume responsibility for its criminal element. Black people account for a majority of the most lethal gun crimes in the entire country. This sickening reality must now be stared squarely in the face. It is the unspoken or, at best, silently whispered truth of armed crime in this land. We - BLACK people - are disproportionately responsible for the most lethal gun-related offences in England (America). Furthermore, Black people are the primary VICTIMS of Black gun crime. Black people themselves must thus take the lead in the War on Crime and enforce a new philosophical, behavioural and sartorial credo within the Black community." 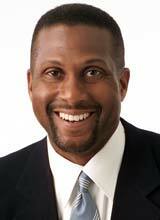 The Tavis Smiley Foundation and the ExxonMobil Foundation are currently running their second annual Talented TENth High School Tour, which is designed to help minority students develop greater interest in science, technology, engineering and mathematics. The program consists of Mr. Smiley speaking at high schools in Washington, DC, Hampton, VA, St. Louis, MO, Los Angeles, Calif, Chicago, Ill, and Jackson, Miss. Kudos to Mr. Smiley. AAEA promotes a similar program to increase African American participation in the environmental movement. If you are 1) a vegetarian, 2) believe we evolved from animals and 3) think animals should have all of the same rights as humans, you should stop reading this now. We love animals at AAEA, but with all due respect to PETA and ASPCA, our grocery stores are full of chickens, cows and pigs. There has to be a correlation between them being the weirdest looking and stupidest acting animals and their position in the meat section of Safeway and Giant. Society does not treat dogs and cats this way. Of course, they act civilized and look good. 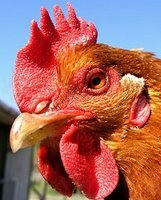 Do you have a pet chicken in your house? Chickens just ask for it the way they peck all around the yard and have wings but can't fly. Cows moo and stand around eating grass all day for more than one stomach. Pigs have to be about the ugliest animals on Earth, they eat slop and wallow in mud. Now don't be mad at us for stating the obvious. It should make you feel good that at least hunters won't kill Bambi--just her parents. And deer are beautiful. That is why there isn't deer meat in the grocery store. Act stupid. Get taken for a ride. As Peter Clemenza said in the movie Godfather, "Leave the gun. Take the cannoli." Q: Why did the chicken cross the road halfway? A: She wanted to lay it on the line. The Senate Finance Committee has reported out a bill that would reduce recent tax cuts and increase excise taxes on oil company profits. Senators are also threatening to eliminate expensing for exploration and development costs. The full Senate will take up the measure soon. Hopefully Congress will leave big oil alone so they can continue to provide the U.S. with excellent service and reasonable prices. Let those boys drill and leave the politics inside the Beltway. Surely, they will use their recent record profits to reinvest in needed infrastructure. And profit is not a bad thing in America. Americans already pay a flat rate of about 46 cents in taxes per gallon of gas. The federal gas tax is 18.4 cents per gallon while the average state and local tax is 27.5 cents. 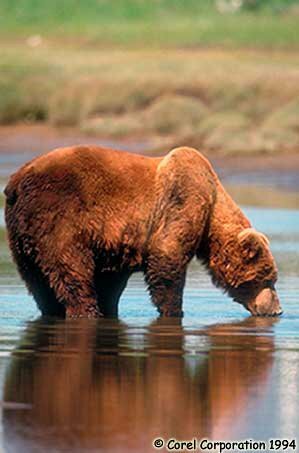 The Yellowstone Grizzly Bear is being taken off of the Endangered Species Act list. Currently listed as 'threatened' instead of the more serious 'endangered,' the recovery of this big brown animal is a great victory for one of our nation's most important environmental laws. The Bald Eagle has recovered and should be delisted too. Eagles are everywhere these days, including the suburbs. Conservative Pundits: Ignoring Mother Nature? LaShawn Barber, Michelle Malkin and Ann Coulter basically ignore environmental issues. At least Ms. Barber links us on her Corner. Ms. Malkin has not responded to our requests for a link. And we have not contacted Ms. Coulter, but she seems uninterested in environmental issues too. Maybe they think the issue is left. Maybe they have conceded the issue to the Democratic Party and the partisan mainstream environmental movement. Maybe they just don't care about Mother Nature. Ladies, where is the love for planet Earth? 1) Reversed deregulation and allow electric companies to be regulated by the California Public Utilities Commission. 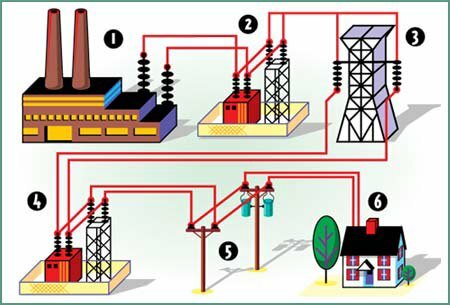 2) Restricted customers' ability to switch from private utilities to other electric providers. 3) Required all retail electric sellers to rely more on renewable energy. 4) Barred independent power sellers from signing up new customers. 5) Let the utilities, which sold most of their generating facilities to private operators after the 1996 deregulation, build and operate their own power plants. 6) Returned to so-called vertical integration, where utilities generate the power they sell, which would put them in competition with the independent power generators that have spent hundreds of millions of dollars building gas-fired power plants over the last decade to serve the California market. Supporters believed the measure would prevent a repeat of the energy crisis of 2000-01 by removing retail competition from the state's system for generating and selling electricity. Opponents believed the initiative would create uncertainty in the state's electricity market and stall investment in badly needed power plants. 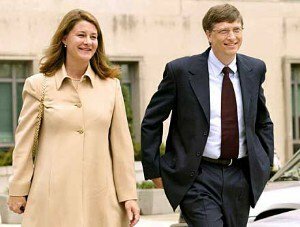 Bill & Melinda Gates and DDT? Although Windows is probably the greatest invention of the 20th Century, Bill Gates and his wife are not leveraging American resources to the maximum extent practicable in fighting malaria in Africa. They should be fast tracking the use of state-of-the-art, Environmental Protection Agency approved insecticides and should not rule out funding the extensive use of DDT in all African countries experiencing deaths from malaria. The Bill and Melinda Gates Foundation, with nearly $29 billion in assets, awarded $258 million in grants over five years for research to prevent and treat the disease. Malaria kills an estimated 1.2 million people a year, the large majority of them African children. Although the Gates acknowledge that malaria kills 2,000 African children every day, their research money is directed towards improved insecticides to combat the mosquitoes that carry it, and $108 million of the grant will fund research into producing the first malaria vaccine to treat people who contract it. Significant new research is not needed for an effective insecticide and DDT works very well in killing mosquitoes. An ounce of prevention is worth a ton of cure. 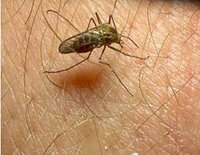 The Gates Foundation should be funding the use of an EPA certified perticide or DDT to eliminate mosquitoes carrying the malaria parasite in Africa right NOW. Just as we used DDT in America to eliminate malaria-leaden mosquitos, we should do the same thing in Africa. Then roll back the use to protect wildlife. Children and adults in America do not die from malaria thanks to DDT. People in Africa should also enjoy freedom from this preventable affliction. Bill and Melinda Gates should meet with EPA to examine the feasibility of utilizing EPA-approved insecticides and other resources available at the agency. EPA's Office of Pesticide Programs and International Activities Offices could be very helpful assisting the Gates in accelerating the successful elimination of malaria deaths in African countries.